Time to Stock Up on Toilet Paper, Batteries, and More--CHEAP! I have specific price points set for the various items I purchase including toilet paper and batteries. When a product reaches a particular price point, I stock up. Well, recently I was made aware that Amazon has a “Subscribe and Save” option on their website for some common items that I always purchase and includes free shipping. Even better, usually if there’s a coupon in circulation that I would normally be using in a physical store, Amazon has that coupon available on their site that is mine for the using, simply by clicking on it at the time of my order. Just a tidbit of info on the “Subscribe and Save” option, you can cancel and renew it at any time. So if my price on the toilet paper goes above my mandatory 25 cents a roll, then when I get my little notice from Amazon that it’s time for my next shipment, I just click to cancel. There’s more than one way to save money on the things we need folks, and there are plenty of them too! As another example of big savings on key essentials for the self-reliant household, this week (thru Dec. 17th) both Office Depot and Staples are offering a deal which essentially makes the cost of Duracell batteries (AA and AAA sizes) free. They are presently priced at $12.99 and when you purchase them you get $12.99 back on your rewards card to use on other items in the store, for which you can also use any coupons that are in circulation, folks. So for me, this week I’ll go and purchase Duracell batteries at each location (daily due to the 2 pack limit) and then with my rewards/rebates I’ll purchase paper, Post-it notes, and a few other things that I have coupons for that will make them nearly free anyway. 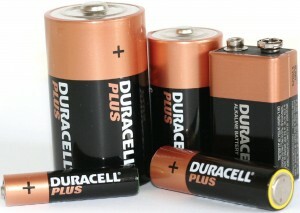 I never seem to have “enough” Duracell batteries, and I can make the continual $12.99 last and last and last by compounding my savings with store coupons combined with manufacturer coupons. See? Getting prepared and stocking up on things you use regularly (or which might even make great stocking stuffers) can still be free or really, really cheap. Staples and Office Depot do this particular regularly AND you can add any manufacturer's coupon on top of this great deal too, making it what we couponers refer to as "a money maker!" There are also frequently deals you will get in the mail from both stores which take of X dollars on a purchase amount of X dollars. You would actually be able to use that offer on top of a manufacturer's coupon for that offer too. Cha-Ching! If you want a solid grasp on all kinds of scenarios like these, be sure to check out our most popular Preparedness Pro instruction, "Enough and to Spare: Coupon Training Boot Camp" which comes complete with a 2 hour DVD presentation and a large resource guide that also provides pictures to help you with some of the step-by-step ways to save! It's packed with all kinds of strategies like what I've offered here. 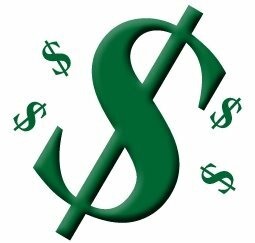 In fact, you can easily save enough moola from this one tip to pay for the course. Enjoy! This is a wonderful thing. I have been using it for about six months. Get this, the free shipping, on many items, includes free shipping to my little community in Alaska. I love Amazon! I Ordered Ceral $18 for 6 boxes. The local store was selling the same small boxes for $6. That is a huge savings. I am not sure how you are coming up with that price per roll. I just checked them out and it came to 74 cent per roll on the 24 roll pack and $1.0? per roll on the 40 count pack. you're not comparing apples to oranges. "Per roll" is relative. I base my price point on a regular roll, and do the math when they are larger rolls. Here's how I do the math--when two-ply toilet paper costs no more than a penny per square foot, then I buy. No messing with rolls of different sizes. I get Scott TP for 72 cents /roll with subscribe and save(20 pk roll). Free shipping and 15% off,too.What's to not like? This is the only stuff our old house plumbing can handle--no lucious soft stuff for us sadly. Around here Scot is over a dollar a roll when I can find it in stock. Get our coffe and yogurt starter,too. Easy to skip a shipment or even get an extra one. Kellene, I'd be wary of buying bulky items such as cases of toilet paper online for the simple reason that it's going to be very conspicuous. When I shop for my preps, I typically pull my car into the garage and unload from there so nobody sees how much toilet paper or anything else I'm buying. Beyond that, wouldn't the UPS people or anyone else think it's really strange to have cases of toilet paper delivered instead of going out and buying it yourself? I get cases of Pom TP at Sam's Club for less than $20. Keeping your preps off of everyone's radar is paramount, and I'm not about to let anyone outside my family know what I'm buying. Just ordered. Thanks for letting me know. unless you have an entire warehouse full of TP stashed away somewhere, how long are a few extra rolls really going to last you? wouldn't it be more prudent to come up with a sustainable alternative to purchased Charmin?? really, people, no one's going to perish for lack of super-soft bum wipes. Beth, I think you've failed to recognize the merits of stocking up for purposes other than any apocalyptic type of scenario, (ironically, the one thing that I do NOT subscribe to where preparedness is concerned.) If you'll read the article you'll note that it's about purchasing at a particular price point and stocking up on what you need once a particular item hits that price point. That's called being wise with your money where I come from. 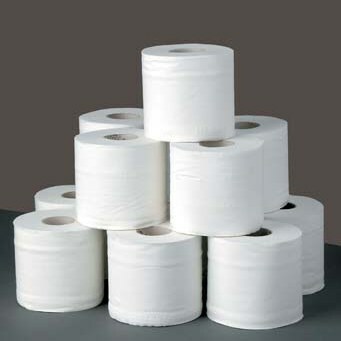 The question begs to be asked if using your hard earned prep money for stockpiling TP is a wise investment. I'm all in for saving a penny, dime, or dollar where it can be done. I do not subscribe to any kind of apocalyptic end-of-days scenario. I believe in being self-sufficient. I question the wisdom of stocking up on name-brand "essentials" for, as you put it, "the self-reliant household." Really? As Joan said...only in America. As if the human race would perish for lack of double-strength Charmin over a 3-day stretch. This website has a few good ideas. Much of the rest is excellent comedic material. It is disgusting what we Americans feel we can't do without for even a day or two, and the lengths we'll go to (like ordering cases of TP through Amazon) to cover our fat (censored by PP for vulgarity). Joan, if you don't have enough toilet paper, you will be in a world of hurt and will be putting your health and the health of others at risk. I've seen the argument that something like a bidet system would be preferable over toilet paper after the you-know-what hits the fan, but I'm not about to use precious water to flush my backside at the expense of having less potable water for my own hydration. I'll take toilet paper any day over chronic thirst. I guess my perspective is different since I have traveled to India / Asia where toilet paper is not used (need I be specific?). Joan, are you familiar with the sanitation issues in India? There's a rather interesting book called "The Big Necessity" which takes a look at the connection between healthy hygiene habits where people are doing their business, compared to those who are not. It's interesting to note that the entire well being of a population is connected to the level of their sanitation practice. In fact, as I've shared previously, it only takes ONE errant person with poor sanitation practices to kill and entire population within a 500 mile radius. NOT using toilet paper puts a person in closer contact with the many diseases. Rags, a bidet situation, etc. are all more dangerous scenarios. Beth, I've started buying one 40-roll case of Pom toilet paper every week at Sam's Club for less than $20. I'll stop stocking up when I get about 25 cases, or 1,000 rolls. You can't convince me that stocking up on toilet paper is a bad use of money for preps. A millionaire friend of mine never steps over a penny on the sidewalk saying "pennies turn into dimes turn into dollars turn into tens, etc"! Thanks for letting us know. I would like to extend a humble apology for some rather unkind comments to your recent posting. I own some mental health problems, and am not always proud of the results. I may not agree with everyone, (and sometimes make it difficult to do so) but I do respect every last person's right to her own opinion. Again, my apologies. Another thing you could substitute T.P. with is rags,old t shirts sweat pants and phone book paper. Just a thought. no, no, no, no, no, please, no.....(said really fast like I'm stuttering) The fabric suggestions, if used, will cause a sanitation nightmare! Read the other article I wrote on toilet paper. I believe it's called the Necessity of Toilet Paper. Thank you! Totally echoing your nonononono's on the rags as substitute tp. We recently had an infrastructure meltdown at our house - simultaneous stomach virus and plumbing failure. The last thing we were equipped to deal with was a bucket of germy rags. Toilet paper, water storage, and a couple of those camping toilet seat thingys with five gallon buckets (disposed of and replaced immediately following) and the appropriate chemicals are what got us through until the plumber could figure out the problem. While I appreciate the frugal and rugged sentiment of the rag philosophy, it is unnecessarily unsanitary, and I'm not willing to die for it. I think all points are valid in their own perpective. I'm deployed to Afghanistan and the locals here dont use toilet paper even when it is readily available. Now do we as human require it to live, no. We dont, however expect far more outbreaks of sickness and disease. Now as for rags, when times are tough, rags do work. once. the main issue then becomes hand washing. I've used my tshirt sleeves in an emergency as a soldier in the field, however you MUST wash / sanitize your hands and no it isnt something I would do regularly if given the choice. Now that being said. If your prepping for anything, local extended power outage, EMP attack, or the world just turns to hell in a hand basket having some TP on hand will help you get past the first several weeks (based on what you've got on hand) and past the disease phase of the event. Also knowing good sanitation habits will be critical in a end of world scenario or a extended power outage situation. But thats just my .02 cents based on multiple deployments overseas post 9/11. Thanks for the great website and keep up the great articles as they inspire thought and discussions. If folks look at the statistics worldwide as the book does which I mentioned in an earlier post you will note that the countries which use toilet paper have a significantly lower rate of cholera, e. coli, and other similar disease issues. Grant it, once the TP is gone, so be it, we'll all have to deal with that at some point. But for anyone to suggest to just forget about the TP is doing so without having properly studied the sanitation effect. You hit the nail on the head--knowing good sanitation habits is key to enduring any significant crisis such as an EMP, earthquake, etc. Haiti is the PERFECT example of what happens when TP isn't used AND there's a dearth of sanitation knowledge. By the way, we thank YOU for your service! I get all the concerns noted here about using cloth "rags" etc. But as a young mother, many years ago, we used cloth diapers often with flushable diaper "liners" and after diapers were properly "rinsed" in the toilet, the diapers were than transferred to a plastic bucket with a lid that contained a solution of pine-sol and water . When laundry day came around (frequently!) this bucket was relieved of the soaking diapers,(using rubber gloves to wring them out) the solution flushed, and the diapers put through a rinse cycle and then finally washed in very hot water with soap.You could even run a cycle to disinfect the laundry tub - hot water and bleach if desired. I know this uses more water, but if water IS available and TP ISN'T, then it would seem logical that this is a viable alternative.It would mean only one extra "flush" to get rid of the chlorine solution and an extra "rinse" prior to the hot water laundry process. Mother's hadn't even heard of "wipes"! Obviously this only works if you HAVE water and not TP. Umm. There are a lot of things I will go without. Ipods and radios and cell phones and name brand anythings.. Toilet paper is not one of those things. Call me an american cry baby if ya want to but I like toilet paper. I purchase my Member's Mark at Sam's. According to the label, I am receiving 36 extra large rolls = to 90 regular for $15.98. If I'm doing the math correctly, that's just under $0.18 per regular roll. Just a little FYI. I just thought I'd add that if shtf comes around and you're doing your business in an out house kind of situation. Sprinkling lime on top of your waste everytime you go would stop flies. I'm sure everyone knows this, but flies really help spread diseases and its a cheap fix to get a bag at the garden center and put some in a shaker. Is there an article here on making your own bathroom situation once there is no plumbing. I've thought about how I might make my shed into and out door bathroom if need be. Just a thought. True, though diatomaceous earth is less toxic but equally as effective but it is also less expensive, and serves many, many other purposes pertinent for self-reliance, food storage, gardening, and pest control.